Under globalization, the division of labor in the internationalization of the industrial chain has become more and more clear. With the advantages of labor force and capital, China has begun to gradually occupy the leading position in the low-end industrial chain. The printed circuit board (PCB) industry is almost upstream of all consumer electronics products. Printed circuit boards are used for mobile phones, computers, tablets, displays, and so on. China is the world's largest PCB producer, but its scale is smaller than that of Japan and South Korea and other traditional strong countries. The production of low-end and middle-end PCB products in China’s PCB companies is relatively mature. But high-end PCB products are in the initial stage of R&D and manufacturing, and their competitiveness is insufficient. Foreign and Taiwanese-funded enterprises occupy a considerable part of the market, squeezing the domestic companies’ the living space. 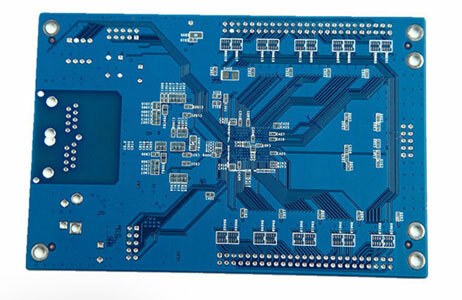 Due to limited raw materials and complicated processing technology, PCB materials such as copper foils are in short supply, and the PCB industry is facing greater price pressure. High-end technologies and products are monopolized by foreign giants, and their import dependence is high. The competitiveness of domestic enterprises is insufficient. The industry is working hard to develop high-end technologies and substitute imports. From the perspective of industrial development, high-end products such as package substrates and middle-end products such as HDI boards will become an important development direction. In 2016, with the global PCB industry declining, China's PCB industry continued to steadily grow at a rate of 1.43%. However, South and Southeast Asian countries such as India and Thailand have also shown tremendous development potential with rapid growth. When labor and land costs rise in China, a large proportion of foreign companies will transfer from China to these countries.